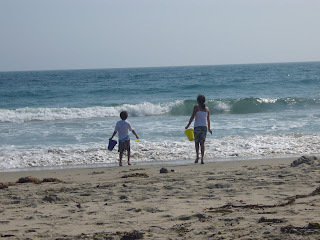 Cooking With The Kids: Beach Shots! 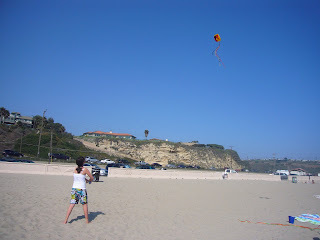 The kids are on vacation this week - so here's a few shots of what they did yesterday after we arrived in L.A. 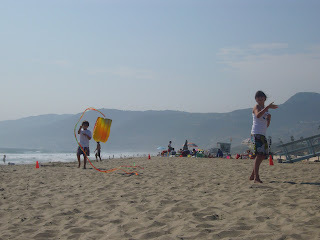 But the pull of the water was too great, so they abandoned their kites, grabbed their buckets, and headed to the water. They built sandcastles which were quickly washed away by the rising tide. It looks beautiful! Have a great vacation! Hey kiddos...I have an award for you on my blog!